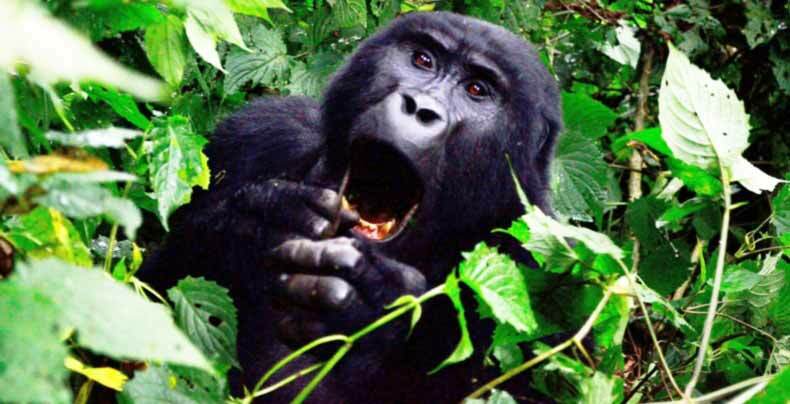 This 10 days Uganda Safari (Primate and Wildlife Tour) will give you some of the best attractions that Uganda has to offer. 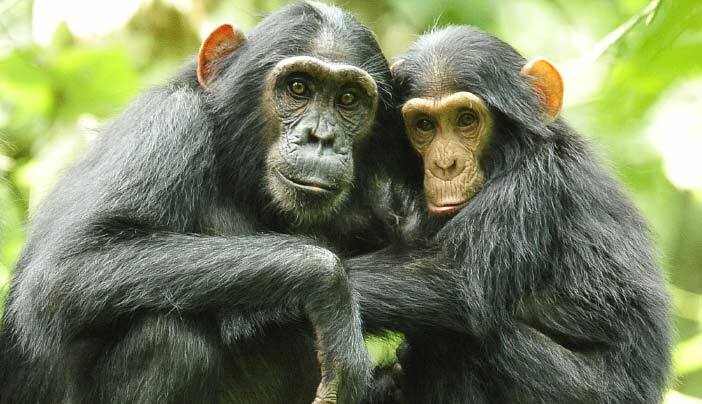 The Tour Itinerary will take you to four National parks in Uganda, Kibale forest National Park for Chimpanzee and other Primates(12) tracking and Birding in Bigodi swamp, Queen Elizabeth National Park for Big four(lions, elephants, leopard, buffalo), Boat cruise on Kazinga channel and game drives, Bwindi impenetrable National Park for mountain Gorilla trekking and Birding, and Lake Mburo National Park for Zebras, leopards, antelopes, giraffes etc. The safari also takes you to Lake Bunyonyi for relaxation, birding and boat cruise. Book your 10 days Uganda Safari Tour Now! Upon your arrival in Uganda, you will be met by your safari guide who will transfer you to the hotel reserved for you in Kampala or Entebbe. You and the guide will go through the your10 day Itinerary. This is very important because you need to get to know each other and also get information on the safari activities before embarking on the journey. Depending on time, a lot of optional activities can be done in the afternoon, especially if you want to go or see something than being at the Hotel. Early in the morning, we leave Kampala after breakfast driving west towards Fort Portal town through Mityana and Mubende towns. 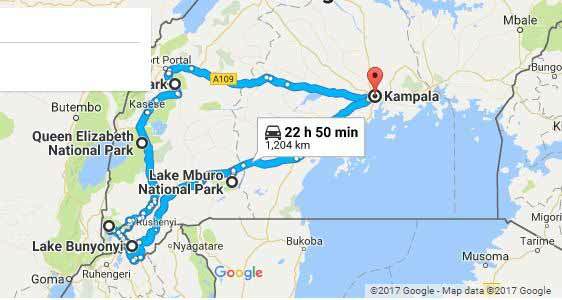 The drive will take an average 5 hours to Kibale. Along the way we drive through farm land of the local subsistence farmers and later entering large tea plantations one of the cash crops in Uganda. Here we stop for Photos before continuing to the Lodge for lunch and check in. After breakfast you report at the Kanyanchu river camp Tourist Centre at 07.45am for group allocation and briefing on the Do's and Don'ts of Chimpanzee tracking. Kibale Forest National Park has a variety of primates. 13 species have been recorded, including; L'Hoest's monkey, the black and white colobus, red tailed monkey, coppery tailed monkey, Uganda mangabey, among others. After spending an hour with our closes cousins, you will return to the lodge for hot lunch. In the afternoon, we visit Bigodi Wetland sanctuary for a community Nature walk where you are to see many birds and 4-5 monkey species. A late morning departure for Queen Elizabeth National Park, driving through big banana plantations, maize, cotton and sunflowers on season. This is so, because the land which is formed by the erosion of the volcanic soils of Mountain Rwenzori is generally flat enabling mechanization. Day 5 of our 10 days Uganda Safari starts with an early morning game drive to Kasenyi (a section of Queen Elizabeth NP) with parked breakfast. Here we are aiming for the BIG CATS which are more active in the morning such as; Lions & Leopards however other animals will be seen; Hyenas, Elephants, Buffalos, Antelopes and different bird species. 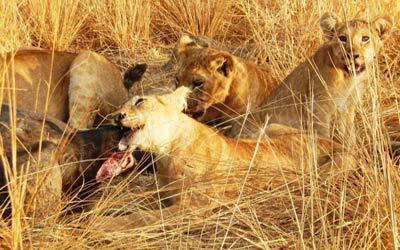 Kasenyi tracks presents the best region for game viewing because of the open grounds which attracts Big game( animals). Return to the lodge for Lunch. In the evening we go or a boat cruise on Kazinga channel which is wonder of its own, you cant imagine how close you get to giant animals like Buffalos and Elephants which come to the banks of the channel for water. Other animals which can be seen include; Giant forest hogs, Hippopotamus, Nile crocodiles and many bird species like Great white pelicans, African spoonbills, Great cormorants, African fish eagles among others. We then return to the lodge for dinner. After breakfast, we drive to the southern part of Queen Elizabeth NP (ISHASHA). It’s the most remote part and less visited though very rich in Game. This is the home of the Tree climbing Lions. Other gaming potentials include the rare Leopard, Hyenas, Giant forest hogs, Topi, big herds of Uganda kob. We then drive through Maramagambo forest which presents opportunities of seeing some primates such as Baboons, Red tailed Colobus, Black and white Colobus, L’hoest’s monkey, among others. We then stop for lunch and continue to Bwindi Impenetrable National Park. In the morning, after breakfast, you assemble at the "Visitor center" for briefing and Gorilla group allocation before being guided in the forest by the park ranger guide and armed escorts. Trekking is very physical but interesting, different vegetation in the forest and atmosphere is rewarding. The trek might be long or short depending on the movements of the Gorillas, but seeing the peaceful giants brings ease in your heart, and hour with them seems like minutes. Just enjoy the breath taking hour before returning back. 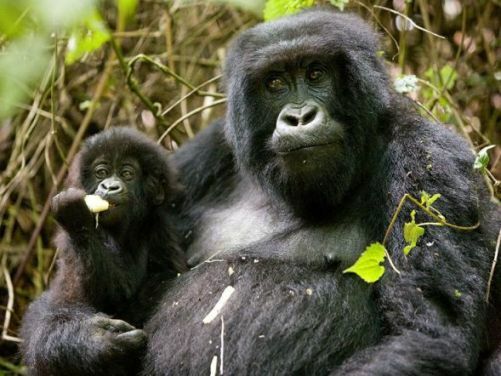 Depending on time of arrival from gorilla tracking, other optional interesting activities can be arranged in Bwindi, such as; Forest nature walks, Batwa experience, Community walks, Bike riding, among others. After breakfast you continue driving further south to Lake Bunyonyi "the lake for birds", the right place to take it slow and relax. Lake Bunyonyi is a very scenic lake with (29 islands) and might make you feel out of Africa. This is the second deepest lake in Africa after lake Tanganyika and deepest in Uganda but because it is always calm, enables canoeing and a Nature walk on these historic islands is very rewarding. Therefore upon arrival, you check in at the lodge and have lunch, then enjoy an active evening. In the morning after an early breakfast, we transfer to Lake Mburo National park, Uganda smallest savanna park but offering magical experience such as; Zebra, warthog, Elands, Impala, Giraffes, Buffalos, Leopard, Bushbucks, among others. Upon arrival, we have lunch at the lodge. In the afternoon you will go for a 2 hour boat ride on Lake Mburo and get quite close to the water animals that include Crocodiles and Hippopotamus, birds like the Fish eagles and King fishers. After the boat ride, you will start an evening Game drive as you enjoy a beautiful sunset. Return to the lodge for dinner. After breakfast enjoy a walking safari in the park with an experienced game ranger. 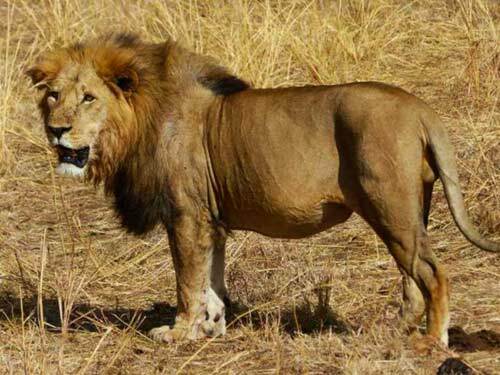 It’s a very great experience as you get close to wildlife without threatening them which wouldn't be the case if you were in a safari car (they would run). This take an average of 2 hours. After the walk, we check out of the lodge and continue to Kampala of Entebbe. 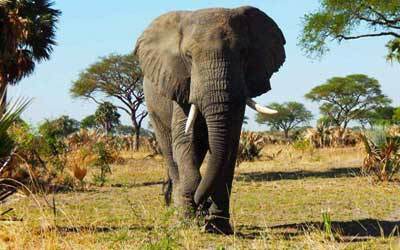 This 10 DAYS UGANDA SAFARI TOUR can also be tailored to suit your desires. We can design the safari to the number of days you want and activities that interest you. Feel free to contact us for more information about the safari. Book your 10 day Uganda Safari tour Now! A 10 day Uganda Itinerary (Tour package) for primates( Gorilla, Chimpanzee, etc), Big five, White water rafting and wildlife in Uganda's National parks. Whats the cost of the safari?